nursery section. While it is providing this service, the Aqua-?Nursery also creates a constant circulation in both the maternity and the nursery sections. and the babies alive. 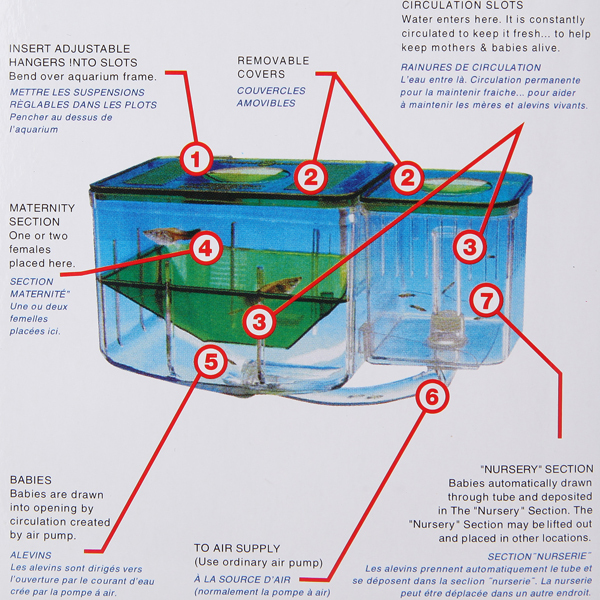 The Aqua-Nursery will do its job quietly and confidently with no effort on your part. ?The world’s first circulating hatchery is completely automatic.It draws new-bron fry through tube from Maternity section into nursery section,keeping them separate,alive,and healthy. 2.Due to the light and screen difference, the item’s color may be slightly different from the pictures. Please understand. Make sure you don’t mind before you bid.